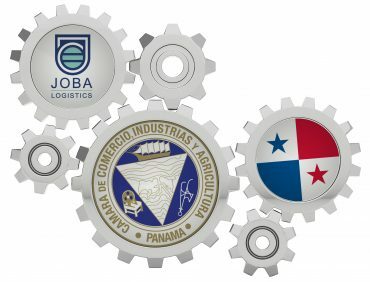 Joba Logistics becomes a Member of the Chamber of Commerce, Industry and Agriculture of Panama – JOBA LOGISTICS S.A.
Last October, we were welcomed as members of the Chamber of Commerce, Industry and Agriculture of Panama, it is a great privilege for us to be part of this prestigious organization and we are very proud and expect to participate actively within the framework of activities that Are aimed at the development of the Panamanian economy. We think that in these moments of turbulent socio-economic, cultural and technological changes, there is no better way to deal with them than by joining together and sharing concepts and ideas that offer us alternatives to generate proposals in the areas that are necessary and useful for the different markets within Which each member of the House performs. It is well known the vast experience and audacity with which Panama always manages to adjust and in some cases to propose patterns that influence the oscillating regional economy and the Chamber of Commerce and Industries and Agriculture of Panama has been a key protagonist so that these favorable conditions were given. We hope that Joba Logistics S.A. Be a little more gear to help move those larger wheels that continue to give us the dynamics that our beautiful and thriving country requires to move forward. We have 24/7 Whatsapp assistance.